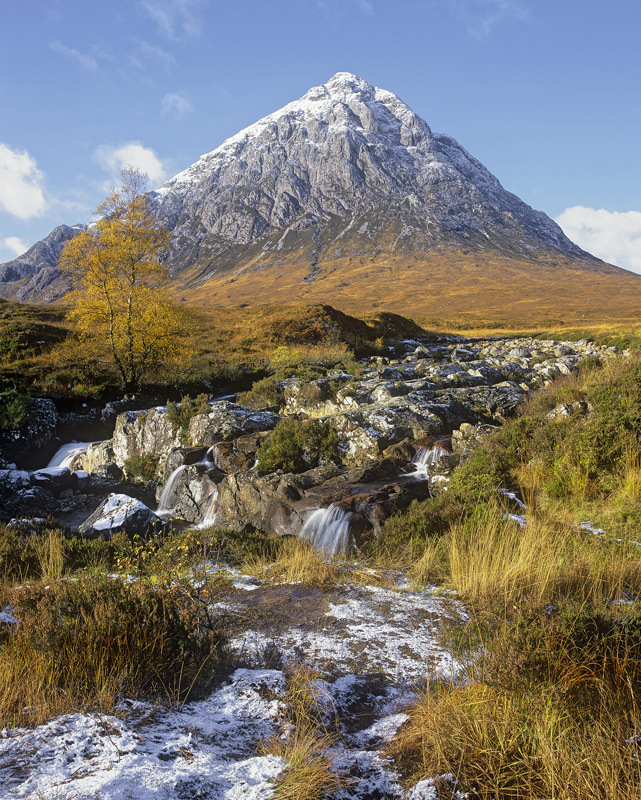 The most distinctive shaped mountain in Scotland with its beautiful fluted and shelved walls and pyramidical shape towering prominently over moorland at the top of Glencoe. It is a classic view with the river in the foreground and small waterfalls and cascades thrown in for good measure. I often get asked why I photograph these cliches. Well only a fool would choose to ignore something as regally beautiful as this mountain on the grounds that it has been shot before.